TarBlock Removes Tar and Nicotine without changin the taste! Get rid of morning cough, reduce the tar and nicotine immediately! Get rid of morning cough, reduce the tar and nicotine immediately! Affter one week, You may feel the benefit of easier breathing and energy increase. After one month, You could easily be amazed by your reduced morning cough. Features You will get full flavor yet block out most of the tar, nicotine and carbon monoxide. 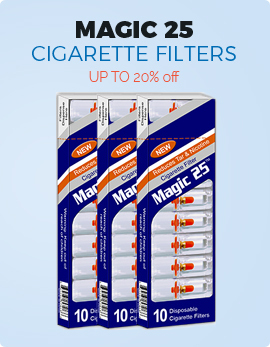 Each filter is good for up to 5 -6 cigarettes. 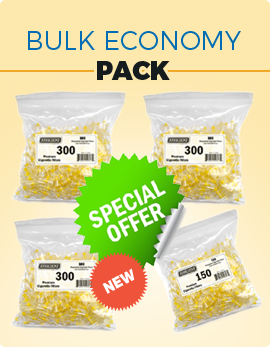 Each pack contains 30 filters. TarBlock Removes Tar and Nicotine without changing the taste! 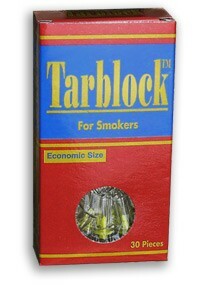 IF YOU CAN'T QUIT SMOKING then you should try Tarblock Filters. SUBSCRIBE TODAY AND GET 15% OFF YOUR FIRST PURCHASE! © 2017 BuyCigaretteFilters.Com All Rights Reserved.